The ultimate in recycling and reuse! U Konserve's insulated lunch tote is made from recycled plastic bottles. This tote keeps lunches cold at work or at school, and is ideal for picnics and travel. The inside pocket can hold an ice pack, bamboo utensil or cotton napkin. The adjustable strap and insulated fabric make this stylish tote very versatile. Wear over your shoulder, hang on your stroller, or wear messenger-style and keep your hands free. Durable and machine-washable, this designer bag is perfect for adults and kids. Care instructions: Machine wash on gentle cycle and air dry, or wipe with mild soap and water. All U-Konserve products are tested by independent labs to meet CPSIA and FDA requirements. 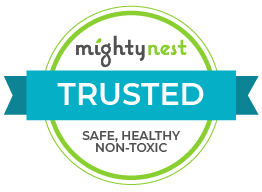 In addition, all products are tested on a regular basis to ensure that they are free of BPA, phthalates, PVC and lead, and to ensure consistent and non-toxic quality. Kids Konserve waste-free lunch kits and U-Konserve reusable lunch-packing products were a natural outgrowth of what two women saw as a critical need that required immediate attention. With the premise that any business they undertook had to help the environment in some way, it didn’t take much imagination to see how they, as parents of young children, were contributing to garbage landfills, pollutants and sending the wrong message to their own children. How could they set an example of conservation for their children and empower them to be examples of change for the future? Calculating the amount of lunch trash being produced each day at their own schools shocked them enough to begin more research into reusable products that would dramatically cut down on our Earth’s ever-growing garbage pile. Focusing on how school lunch programs operate opened their eyes and propelled them to create Kids Konserve & U-Konserve.